Leveraging creative talent to make vulnerable folks lives a bit easier is certainly a good way to spend a day. 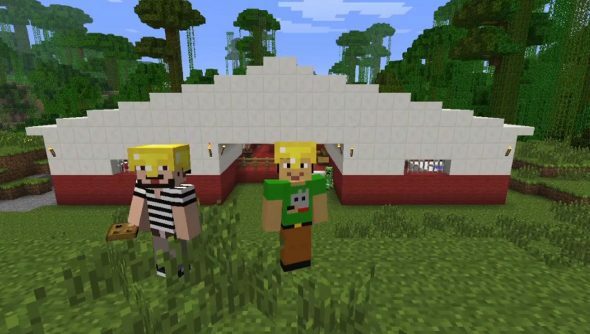 Clinic Craft, a project created by Dan Maher and Chris Doney, is using Minecraft to raise money for the construction of a clinic in Liberia. Doney’s a Mincrafter, while Maher calls himself a noob, and both are creating a clinic in Minecraft to create awareness for Save the Children’s appeal to improve the quality of medical care for pregnant women and their babies in Liberia by building six new clinics. The pair are calling on other players to do the same, get sponsored, and donate to the cause. If you fancy building your own Minecraft clinic and getting the word out, you can download the blueprint for a clinic here, and make a donation if you fancy as well. You don’t need to just stick the blueprint, of course, Minecraft is all about using your own creative talents. As an extra incentive, Clinic Craft will also be giving out prizes for the best builds, ranging from Lego to t-shirts.